Ross, a billionaire investor, holds a 31 percent stake in Navigator Holdings through a complex web of offshore investments detailed in leaked documents from a law firm examined by nearly 100 news organizations as part of an international collaboration. 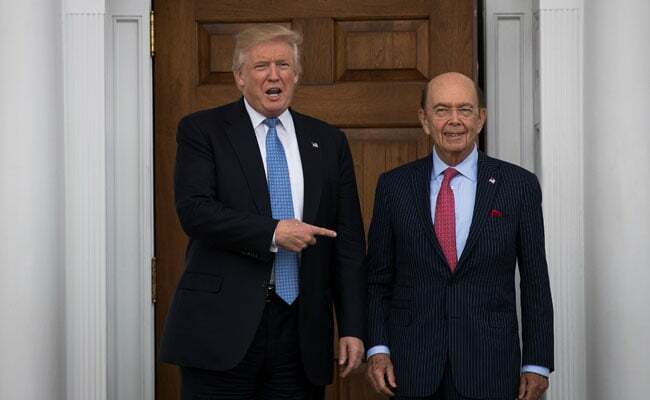 Washington: US Commerce Secretary Wilbur Ross has business ties to a shipping firm linked to Vladimir Putin's inner circle, leaked documents showed Sunday. While there is no evidence Ross acted illegally, the documents -- part of millions of documents dubbed the Paradise Papers obtained from offshore law firm Appleby -- raise questions about whether his investments undermine the US measures. Ross's private equity firm has been the biggest shareholder in Navigator. His personal share of the firm's stake was reduced when he took office in February, but the commerce chief's investment is still valued at between $2 million to $10 million, according to his security filings and government ethics disclosure. He added that Ross recuses himself from matters focused on transoceanic shipping vessels, "but has been supportive of the administration's sanctions against Russian and other entities." The investments emerged as part of the Paradise Papers leak by the US-based International Consortium of Investigative Journalists, which was behind the 2015 Panama Papers release. The latest haul contains 13.4 million documents mainly from Appleby, an offshore law firm with offices in Bermuda and beyond.